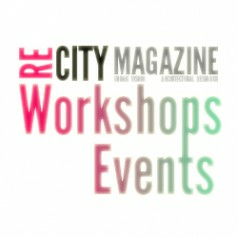 Workshop 19-30 March 2012 Location: AA School Paris – Les Arts Décoratifs, Links: http://aaschoolparis.tumblr.com/ http://www.aaschool.ac.uk/STUDY/VISITING/Paris-part2 Applications Link: https://www.aaschool. ac.uk/STUDY/ONLINEAPPLICATION/visitingApplication.php?schoolID=68 AGENDA Post-9/11, Post-Tsunamis, Post-Earthquakes, Post-Olympics, Post-Hadid; Post- McQueen. Alexander McQueen (1969-2010) was one of the most influential and provocative designers of his generation. His clothing challenged the generic and conventional parameters of fashion to express culture, politics, identity. McQueen saw beyond clothing design physical constraints its ideological and conceptual possibilities, addressing questions related to race, gender, religion, sexuality and environment. During AA School Paris Spring 2012, McQueen’s evolutionary design will act as prompts for embryos’ naissance within the [Fashion+Architecture] body of work. Within a framework of 10 days-germination, AA school Paris participants will take part of a collective embryo-genesis engaging McQueen’s DNA and legacy onto a novel and crucial debate about fashion in the Post-McQueen Era. Featuring the most iconic and radical designs of his prolific career, AA embryos will grow and develop a self-intelligent état d’âme informed by a set of social, contextual, operational and performative parameters, such as: mass production driven by advanced capitalism; temperature variations in the globe, clothes’ adaptability in urban milieus, among other. Post-McQueen Embryos seeks to eradicate the non-responsiveness within clothing design by reviewing Alexander McQueen’s alienated proportions, aiming at busting fashion design out of its commercial destination. Intended to become a design research laboratory, AA School Paris ultimate target is to keep growing the potential for meshing both disciplines [Fashion+Architecture] onto a digital/ physical cross-over studio helping to reaffirm AA School Paris research material. The Paris Experience Discussions, debates and lectures will take place on site with expertise on a day to day basis. By placing fashion designers at the centre of the process, the workshop seeks to challenge much more than just clothing design. At the core of Spring 2012 our solely goal is of consolidating the AA emerging discipline: bodily-architecture. The AA Paris Fashion School will take in an exclusive insightful retrospective at the Exhibition ‘MARC JACOBS- LOUIS VUITTON’, to be held at the Les Arts Décoratifs- AA Paris Headquarters. Post Mc-Queen Embryos is strengthened by a large network of Parisian Patronage, from industrial, publishing and collaborative links, taking the form of sponsoring inputs to the course. The workshop is open to current architecture and design students, PhD candidates and young professionals. All applicants should submit a CV and portfolio to Jorge Ayala at info@ayarchitecture.com.